What is a Skeletal/Bone Survey Complete X-Ray? 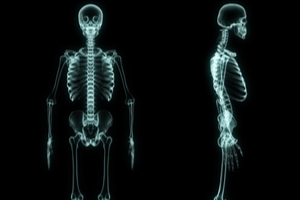 Skeletal or Bone survey, also called Osseous survey, is a series of X-rays of all the bones in the body, or at least the axial skeleton and the large cortical bones. A very common use is the diagnosis of multiple myeloma, where tumor deposits appear as “punched-out” lesions. The standard set of X-rays for a skeletal survey includes X-rays of the skull, entire spine, pelvis, ribs, both humeri and femora (proximal long bones).